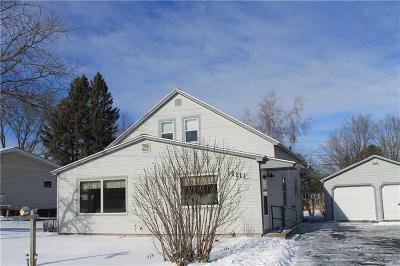 Check Out This One Of A Kind, 1 Family Owned(1940's) 4 Bedroom, 2 Bath Home. Maintained And Mostly Updated! Includes NEW 2018 Whole Home Insulation By West Cap, Hot Water Heater, Furnace, and Central Air! Also New Asphalt Driveway, Roof, and Steel Siding In The Last 5/10Yrs. Large Entryway, Kitchen, Dining Room, And Family Room! This Home Once Raised A Family Of 10! Now Its Ready For Your Family. Book Your Showing TODAY. Before It's Too Late! Directions: S Main Street Rice Lake, West On Messenger St, Right Onto Wisconsin Ave, Left Onto Augusta St. Property On Your Right.